Napierville residents want Msunduzi Municipality to shut down an electrical depot that has set up base in their area. The business, which is contracted by the municipality, has illegally been operating on a property on Roy Campbell Road as a service industrial building, which is prohibited within a specialised residential zone. Msunduzi Municipality spokesperson Thobeka Mafumbatha acknowledged that the business was in contravention of zone usage. “We have been to the site so many times. The initial contravention notice was served. A file will be prepared and submitted to the legal department and the matter will be dealt with,” said Mafumbatha. 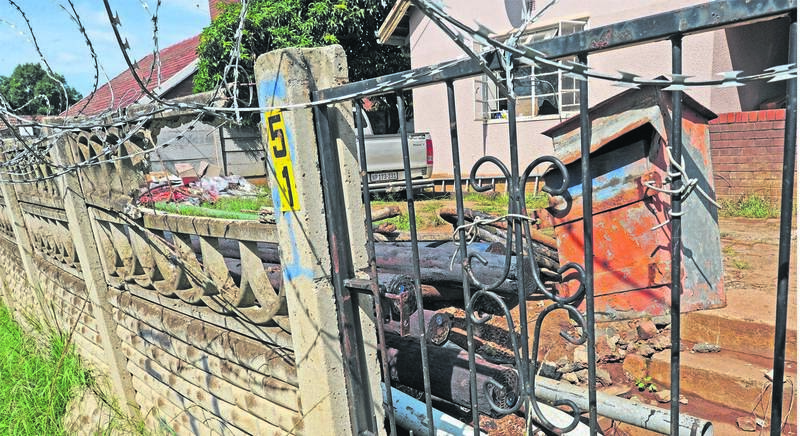 Ross Strachan, Democratic Alliance ward 26 councillor, said the residents wanted to know why the municipality was delaying shutting down the business. “Management of electricity and leadership are aware of this illegal operation and nothing is done. This has been going on[for] two years and it is unacceptable. “The scary part is that this property is being occupied by municipal contractors who are permanently breaking our bylaws without any intervention from management or leadership,” he said. Strachan said he had received numerous complaints from residents in the area who say that the business was bringing the value of properties around it down. ABOVE:The property on Roy Campbell Road in Napierville, which is being used as a service industrial building.&#173;RIGHT: Democratic Alliance (DA) councillor Ross Strachan talks to one of the contractors outside the property in Roy Campbell Road in Napierville. In a letter sent to The Witness, a resident who was not named said the contractors were continuously burning plastic and tar poles. Another resident told The Witness that often at least three or four bucket trucks are parked outside the property. “They are served with notices and fines. They pay the fines and carry on. At what stage is the municipality going to shut them down? “It smells like a depot and it is a health risk,” said the resident. The workers at the site admitted that they had been served with contravention notices. They said they had removed some of the equipment on the property as directed by the municipality.